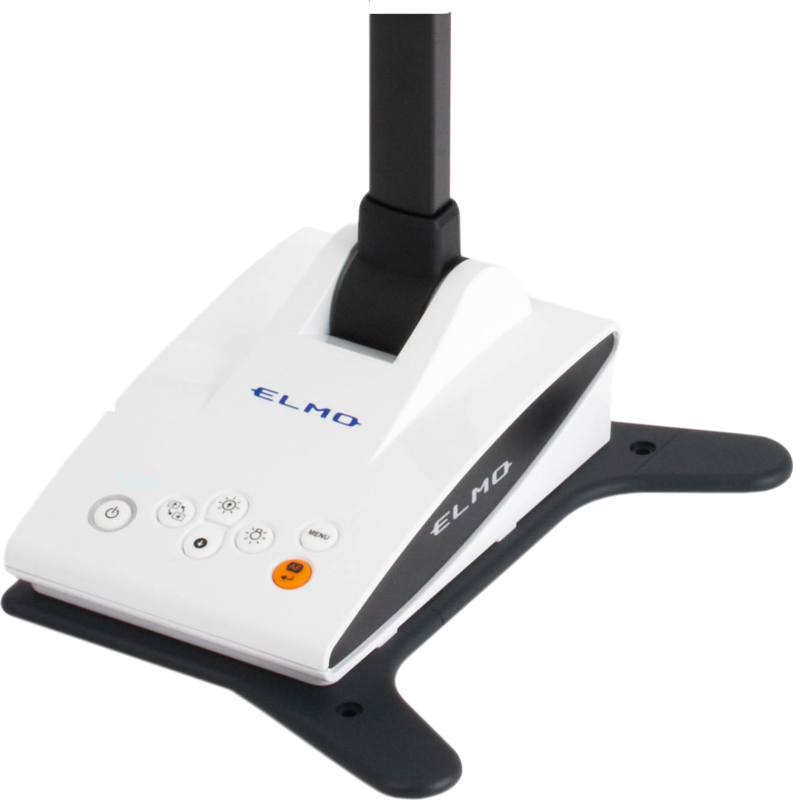 The TT-L1 (previously LX-1 and TT-LX1) is the newest addition to ELMO’s TT-Series line-up. 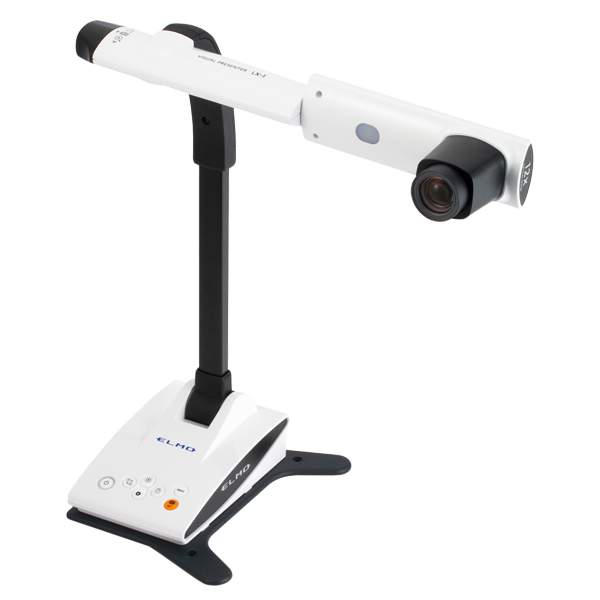 The TT-L1 Document Camera was designed with not only the user in mind but the audience as well. 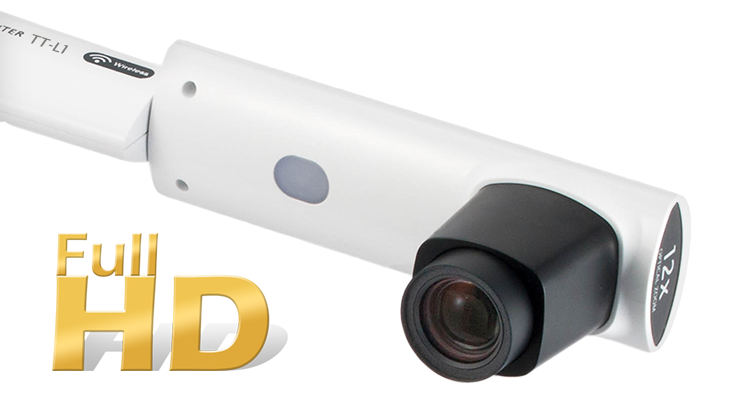 With its new sleek and thin design it allows for better eye contact with your audience without blocking their view of you and the display. 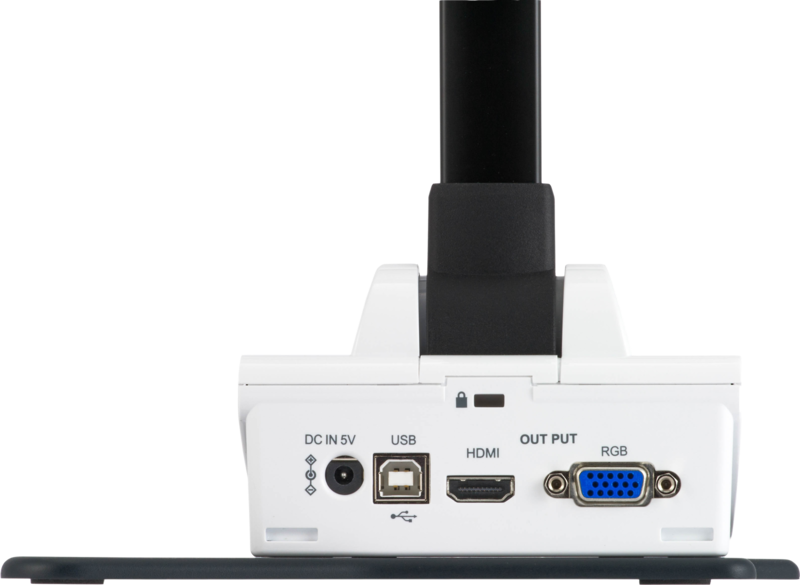 It was also built with a 45% smaller footprint in order to save room and increase portability, simplified connection sources containing output options only for ease of use, and a built-in security plate to keep your TT-L1 safe and secure. Last but not least you will still get the amazing TT-Series quality at an affordable price. 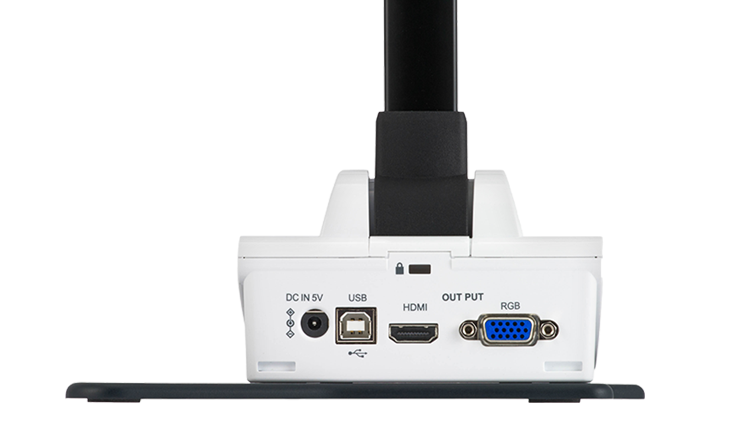 The TT-L1 is equipped with an HDMI output to give you the image quality you need. The TT-L1 has 12x optical and 8x digital zoom, allowing you to see things the human eye cannot; such as the stitching on a $100 Dollar Bill. 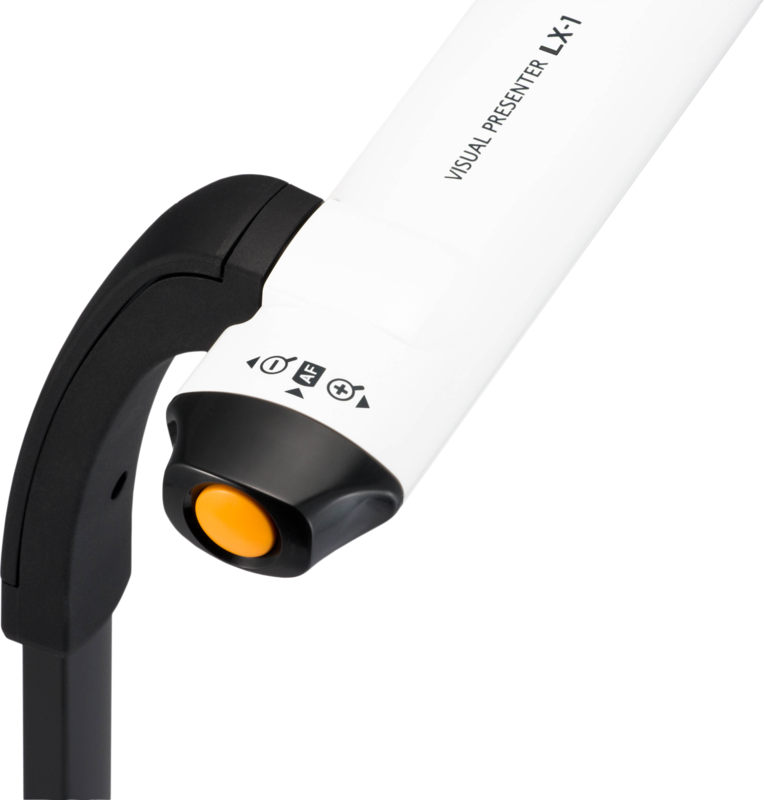 The TT-L1 gives you multiple output options to best suit your needs. 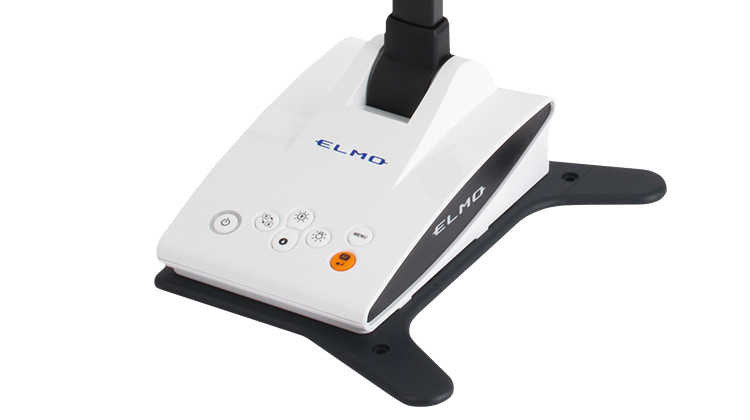 The specially designed included Base Plate not only gives the TT-L1 extra support, but also acts as an anti-theft bracket while still maintaining the cameras tiny footprint. 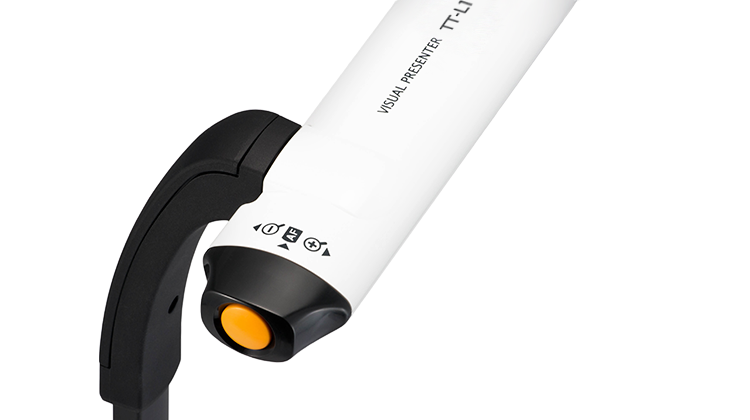 You can bend and rotate the TT-L1 in many different ways to obtain the perfect view you are looking for. Max: 17.1", 9.5" Min: 1.8", 1.0"
Max: 17.1", 12.7" Min: 1.8", 1.4"